There are people who like to engage in physical activities like running or playing but there are always some people who prefer other activities too. Yes! Fishing is a relaxing activity and it is a hobby too. People go fishing because it makes their mind calm and clear. People go fishing to spend some quality time. You may ask, "Why is fishing good for your health?" Fishing also has numerous health benefits. Fishing makes us fit, reduces stress and make us engage in outside activity rather than being inside. Even when skies aren't sunny, your body can get critical vitamin D reserves when you are outside. Vitamin D keeps your teeth and bones healthy. Absorption of Calcium and Phosphorus is regulated by Vitamin D. Calcium and phosphorus improves immune system function and defends against diseases. Fishing always keeps you active. Fishing makes you fit even though you don't engage in tough physical activities. Fishing is like doing a Total body workout because we use our hands, legs and we get a good back posture too. Fishing gives you a lot of exercises too. Regular intake of fish is good to the body. Fishing keeps you away from the digital world and makes your mind to focus on catching.Fishing calms your mind. You unplug from this world and enjoy nature. Fishing is like Yoga because it improves your decision making & critical thinking ability. Fishing improves your thinking capabilities also. 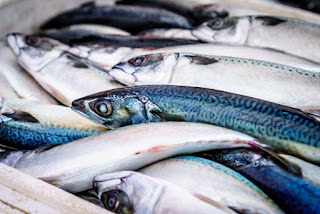 Fish is a food of excellent nutrition value with high-quality proteins, vitamins, and minerals. Eating Fish reduces the risk of heart attacks and strokes. Fish are low in fat and cholesterol. Fishing can help you burn unwanted calories and that leads to a quality lifestyle. 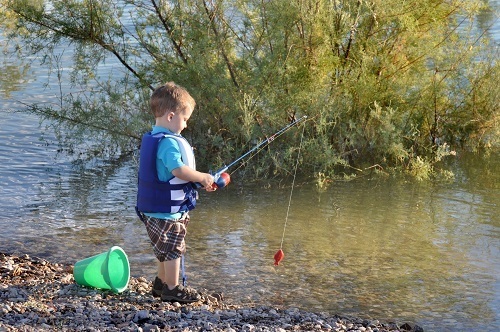 Since fishing is an outdoor activity, It benefits you with good skin and lungs because you are surrounded by fresh air. Fresh air is always good for humans because the oxygen is more pure and clean. Breathing fresh air is very good for the body. Studies also say that people who eat more fish live longer. Fishing enhances your concentration. It helps you target and focus on one particular thing. Fishing improves your confidence because you are away from the noisy world. Fishing keeps you motivated. fishing needs a lot of patience. Sometimes fishing puts you in difficult and challenging situations where you require a lot of confidence and concentration. Fishing is a mix of physical activity, beautiful surroundings, fresh air, and relaxation. Fishing is a skill. Fishing is a low-stress activity and it makes your body move for hours and makes your brain to improve because you spend some time outdoor. Spending your time on fishing will have a great impact on your daily life. Fishing makes your mind and body healthier. Fishing increases social bonding. The best thing about fishing is that there aren't any criteria to do fishing. Fit or not, woman or man, old or young---anyone can catch fish. Fishing is a hobby where you make a better you. Fishing makes us stay happy and healthy. Gaaaay I missed you! I havent tried fishing really cause i have no patience doing it really but must agree that it is totally gona give you healthier option. You know food today! I tried fishing when I was younger but not anymore, I should try it sometime soon, thanks for the wonderful tips! It does, though its seldom for me. No ponds around, neither am I willing to travel for fishing. Yet, I can imagine the inbound feeling. Indeed, who won't say not to fishing and then cooking the fresh catch. The benefits are really syncing with my requirements. Mainly the vitamin D one and to be more confident and improve my concentration. Hopefully, there will come a time when I will take up fishing. Nice post! I did some exercise and sunbathing by water this afternoon. It helped, so this makes sense to me. Plus, fish tastes yummy. I did it as a kid and didn't mind it. Until the flies came, then that was it for me. I have several fisherman in my family and they would certainly agree with everything you said here! 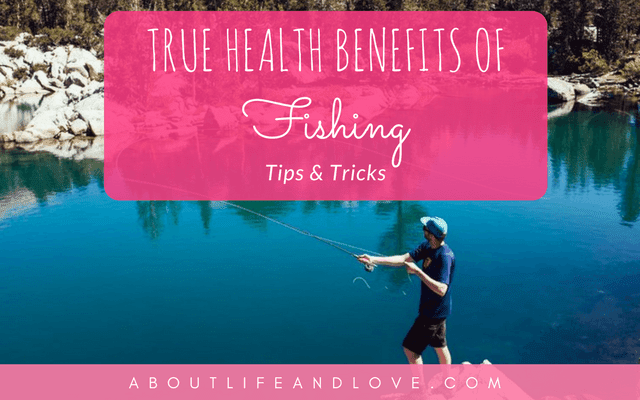 I don't think I have ever gone fishing before, but I really enjoyed reading about these health benefits! It definitely makes me want to try it someday! I love fishing! I never thought about all the health benefits that go with it. Thanks for sharing!